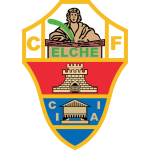 Elche are absolutely kilelrs in this division. A few seasons ago they were in Primera and have still kept some good players. In this division should be absolutely dominating, and apart form two draws they are spectacular in attack and scoring a lot of goals. Today two key players are out so I am not placing big stakes. Ontinyent are a very poor team, I already went against them in August. Today many players are out (2-3 starters only though) and will have 14 players only. They are relegation material IMO and can easily lose by 3-4 goals. 15:00 Levante B - Baleares ?-? 17:00 Hercules - Sabadell ?-? 18:30 Alcoyano - Olot ?-?